It was this shared desire that inspired Matt Fedden and Ian Jermyn to start collaborating together in 2014 on the design of Mc Surfmats. Now in 2017 the two have marked their commitment to creating beautiful, hand-made, high-quality surfmats by founding Warpmats. Every Warpmat is carefully hand-made by us. We’ve sought out quality, lightweight nylon fabrics that are both soft and highly robust. The techniques we use in the build process result in surfmats that are tough and can withstand regular use, even in punishing conditions. We’ve continued to evolve and improve our surfmats based on feedback from our riders around the world. As a result we’ve identified specific designs that consistently perform well. We’re offering these as reliable go-to models to establish or add to your current quiver of surf craft. 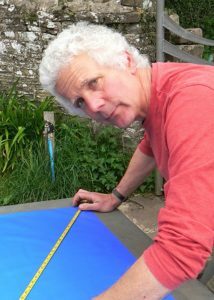 If you’re keen to participate in the design process and play with the design and look of your new surfmat, our Custom service gives you that opportunity. There’s a lot of fun to be had playing with the aesthetics of the materials we use. We’ve developed a range of techniques using acid dyes that create some visually stunning results. We also use various methods to create grip patterns that are both fun and functional. Matt was six when he made his first boat out of a beehive box and sailed it across Titley pond. He’s been making, mending and generally fooling around with hulls, boards and mats ever since. His multivariate skills as a craftsman extend from wood to metal to high-performance airbags. Humbled on his first session on a west coast Irish slab, he knew surfmats had ruined his life. 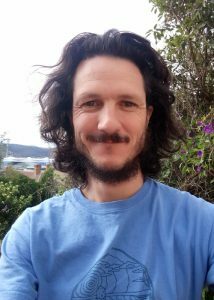 Ian is the transient maker/creative behind Organic Devolution, an umbrella under which he has been writing, illustrating and printmaking since 2003. Custom surfmat enquiries | Shop our stock models | Follow us on Instagram and Facebook to see pictures and read stories about our latest builds, our process and our Warpmats in action.